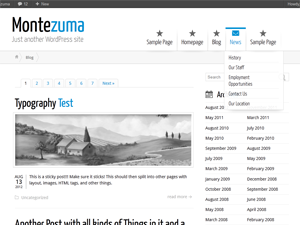 Getting a bit stir-crazy after a week of working around challenges brought on by Hurricane Sandy – so of course, refreshed the blog’s look and feel – using the Montezuma theme by BytesForAll. Have also made a bit more prominent that the advertising on this site is powered by PulsePoint (where I run Technology), which happens to serve the ads on this site (and 30 billion other impressions a month). If you haven’t gotten enough Franken-Storm Sandy coverage on the news, there’s a bunch of citizen-journalist coverage on AllVoices – a site that’s also built by PulsePoint, and which is the proving ground for what we think will be the next generation of technology powering social publishing. Note: to make commenting easier, I’ve enabled people to login to this site with the Facebook, LinkedIn and Twitter accounts. You can also subscribe to get emailed when someone else comments.